Our trained tow truck and low loader drivers have specialised knowledge for transporting large hauls across Brisbane and surrounds like Excavators, Large Crushers and Compactors, Earth Movers, Heavy Machines, Work Site Equipment and more safely and securely along confirmed routes. For fast heavy haulage and efficient pickup and delivery for your heavy load today give us a call now – towing services available all hours, every day of the week. What is your heavy load? Did you Know? 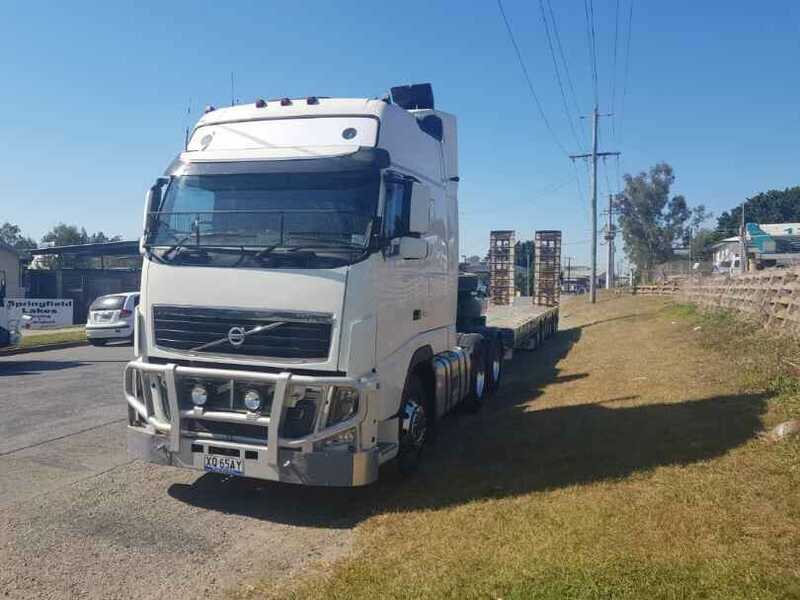 Springfield Lakes Towing and Transport also offers towing services for transporting all kinds of loads across Brisbane, Ipswich and Surrounding Suburbs? Give us a call on (07) 3172 2950 for a no obligation free quote on tow! Big or small we tow it all. Springfield Lakes Tow Trucks are a Local Towing Favourite in Brisbane, Big or Small We Tow it All! Whether you need heavy machinery and equipment moved, or need a tow for your vehicles and work site equipment, Springfield Lakes Towing and Transport can to it all! With everything from heavy haulage and low loader services, to tilt tray tow trucks and courier services in our fleet. We even have specialty experience in many other towing and transport loads, heavy and light like the towing services below. Book your next tow in Brisbane with us now by giving us a call on (07) 3172 2950 or filling in the towing form above.